Since a few days, System Center 2019 is GA, so lets upgrade our environment to the latest bits. 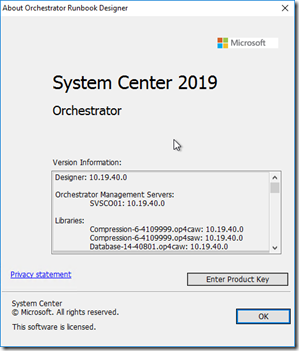 I will start with System Center 2019 Orchestrator. Very important note here, System C So lets start with a quick overview on what's new.